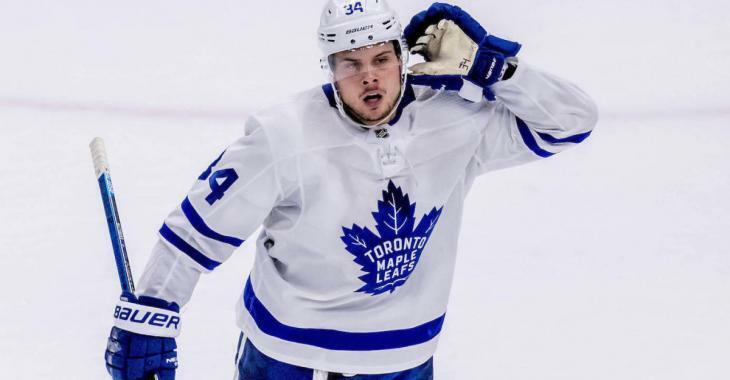 NHL News : Elliotte Friedman reveals Leafs' shocking contract offer to Matthews! Elliotte Friedman reveals Leafs' shocking contract offer to Matthews! First Nylander now this… the Leafs are in for some major headaches. Friedman provided his latest intel on the contract talks during a Wednesday evening NHL Network appearance, and some details are expected to shock fans across the league. According to the Sportsnet's insider, the Leafs are offering a five-year contract extension. “I think they’re trying to keep them quiet, but I do think they’re really trying,” noted Friedman. “I think there have been some - I don’t know if I would say serious, or - I think there are some legitimate attempts on both sides to try to get something done. “I do think Toronto is considering something in the five-year range for Matthews - that would buy one year of unrestricted free agency. I have to tell you guys, if I was in charge I’d be trying to get eight; but that number might be over 12 and I’m not sure Toronto thinks it wants to do all of that yet, so five would probably be a little bit less, which gives them some more cap room. Whatever the case, I do think both sides are seriously talking. “I know there’s been a lot of talk about offer sheets - it’s my personal opinion it’s never going to get there, that they’re going to find a way to get this done - both sides - before that."